Search engine optimization tactics are used for a variety of purposes by brands large and small. Targeting specific audiences is essential whether you are promoting ideas, selling products or providing information. Ultimately, knowing who to target – and how to target them – determines the difference between success and failure. Increasingly, voice searches are becoming a prominent and new way for brands to target specific users. While some might not immediately understand the difference between targeting people searching via text and those using voice commands, there is a difference in terms of style and word choice. As such, it is crucial to know what steps to take to target this ever-growing audience of search engine users. There is a unique way in which most people use search engines with traditional computers and keyboards. Simply put, most have discovered that searching for questions, items and ideas using just the important keywords yields better results than pinging search engines with full questions or sentences. With voice searches, however, this tends to be different. Because people are speaking out loud when performing these searches, they’re far more likely to execute queries based on how they’d communicate in real life. Brands that target full sentences and questions by focusing on long tail keywords may more effectively rank for these specific SERPs. Research shows that a disproportionate share of voice searches are based on locally-relevant queries. If you are specifically wanting to target voice search users, then finding ways to emphasize locally-specific references in your content is a must. The primary reason for this dynamic likely relates to the need for voice searches – as opposed to traditional text-based queries – while on-the-go, driving or otherwise moving about with hands full. Brands that can effectively incorporate local references into their content stand a better chance of reaching these individuals, and will likewise improve performance when including keywords such as “near” or “around” the specific geographic areas. Despite rapid growth in the world of voice searches, this is still in many respects a niche field. As such, brands and marketers are learning new strategies and observing emerging trends on a constant basis. 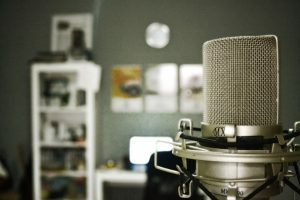 In order to get the most out of your voice search engine optimization, it will be imperative to keep a constant eye out for new trends – as well as observing the results of your past efforts. By combining analytics with industry observations, you’ll be pinging search engines with the best content – that also is optimized for voice search – as possible. Voice search is a new and exciting territory for many businesses and brands, and much remains to be seen in terms of how the technology and industry will evolve. With more mobile devices than ever, the rate of growth in voice search is set to grow dramatically in the coming years. Given the differences between how people search via text and voice, opportunities exist for brands to target new SERPs built around voice searches and appeal to relevant – yet different – audiences.